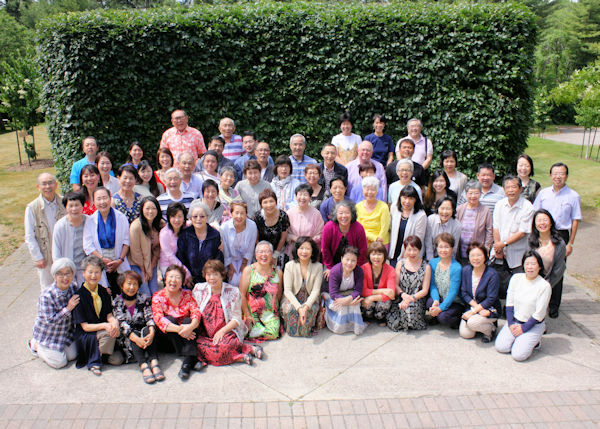 The Japanese Language Caledon Conference was held from June 21-24 with 61 participants. The successful and inspiring conference included all age groups from those in their early 20s up to one participant who was 89. It was remarkable that 30 participants came from British Columbia and the Prairies. SGI Canada General Director Tony Meers and SGI Canada Women's Leader Helen Izumi-Choi, encouraged us with clear guidance to achieve our goals especially SGI Canada’s goal of 10,000 practitioners by November 2018. 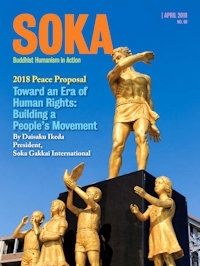 SGI President Ikeda sent a message to the conference in which he encouraged the members of the Japanese language group to dedicate themselves to their noble mission as they expand the network of hope all the more joyfully and in good spirits. Although this is our final conference held at the Caledon Centre, what we learned here made a cause of victory to fulfill our mission. We, the Japanese speaking practitioners, are determined to strive for kosen-rufu in Canada with the unity of “many in body, one in mind” to achieve the lofty goal by November 18. Kenji M, from Richmond, B.C., said that he had never met so many people with so much confidence and positive thinking who made him think again that "I have to work hard toward my own goal and happiness for others." 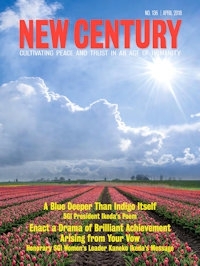 Personally, I would like to express gratitude to President Ikeda for making it possible for us to experience his warm heart and expectation of our growth at such a wonderful centre in Caledon.